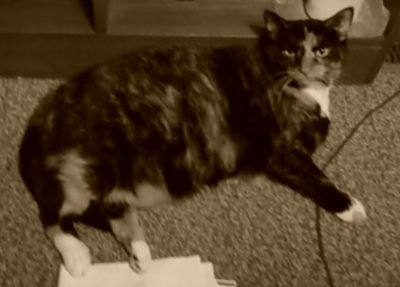 No, the new cat in town isn’t a furbaby for MomGoth, it’s a PUBLISHING HOUSE. But first, a picture of me. For something called a “House”, publishers can be surprisingly fluid. To add to the confusion, when they dissolve when they’re INsolvent. That isn’t the only reason they dissolve, of course. The publishing partnership I just left dissolved because of a variety of incompatibilities and disagreements. I hope all the former partners regain and retain all our good feelings toward one another; each has strengths, but the shakedown period proved that we didn’t work and play well together. But The king is dead! Long live the king! — I’ve joined a new partnership. 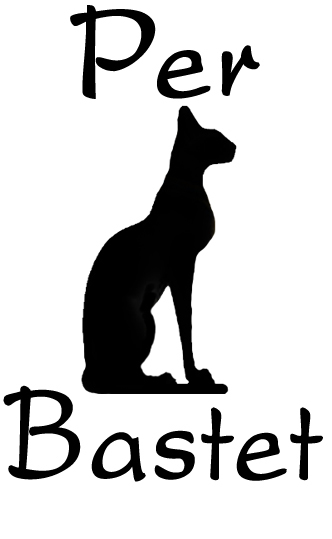 Per Bastet Publications has begun. We’re getting our paperwork in order (or, as we say in imitation of the chefs who “plate the food”, we’re rowing our ducks). We’ll be transferring our own books from other publishers (or, in some cases, some of our books and leaving some with previous publishers because we’re happy with them). When we feel we’re on a firm basis, we’ll start soliciting submissions from others. Not very splashy, but we’ve seen too many new small presses splash all the water out of their own pools by starting to big too quickly. It’s bound to be a success, with a cat on the logo, am I right? A WRITING PROMPT FOR ANIMALS: What do you think about humans using animals to represent their businesses and sports teams? This entry was posted in Caturday, Writing. Tagged publishing house.